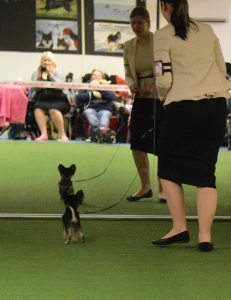 Leonas first 2 shows in adult open class 24 months+ right after turning 24 months. 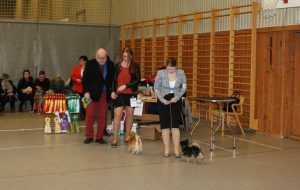 Thanks to judge and breed specialist Samuel Carlid, Sweden. 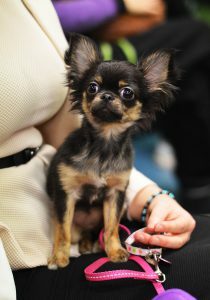 Leona as a youngster before 24 months. 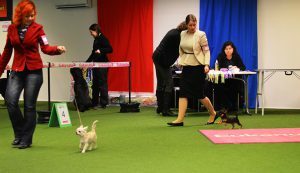 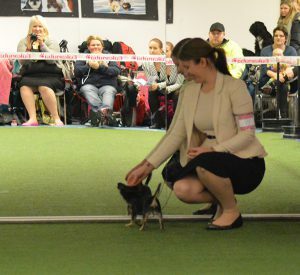 BF2 with R-CACIB & R-CAC at the International Dogshow in Piteå 2016. 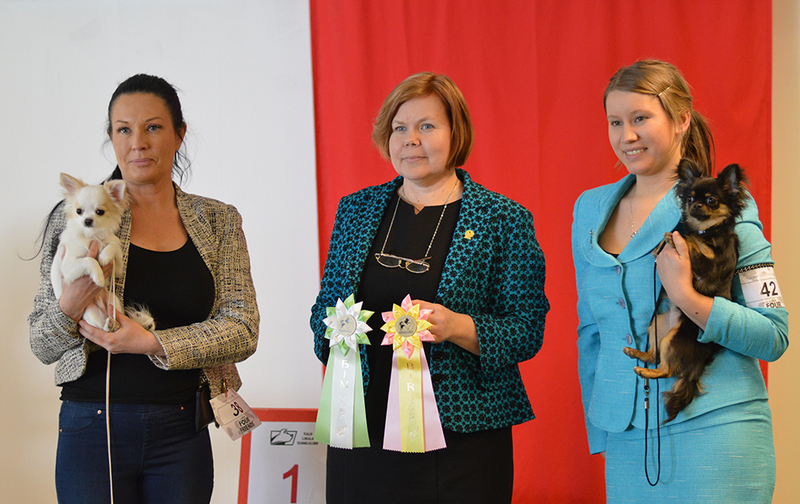 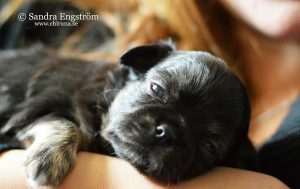 Thanks to judge and breed specialist Anna Lena Angeria, Sweden. 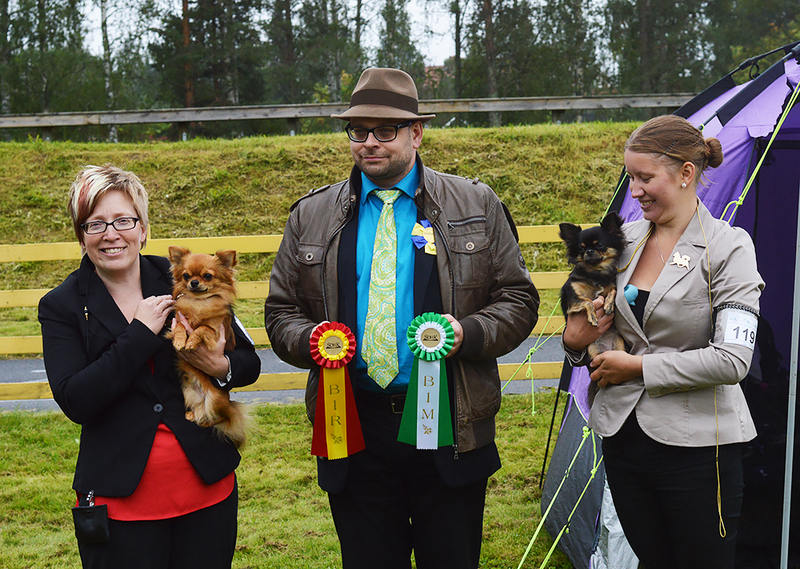 BF3 with CAC & R-CACIB at the International Dogshow in Kokkola, Finland 2016. Thanks to judge Elisabeth Spillman Åkerlund, Sweden. 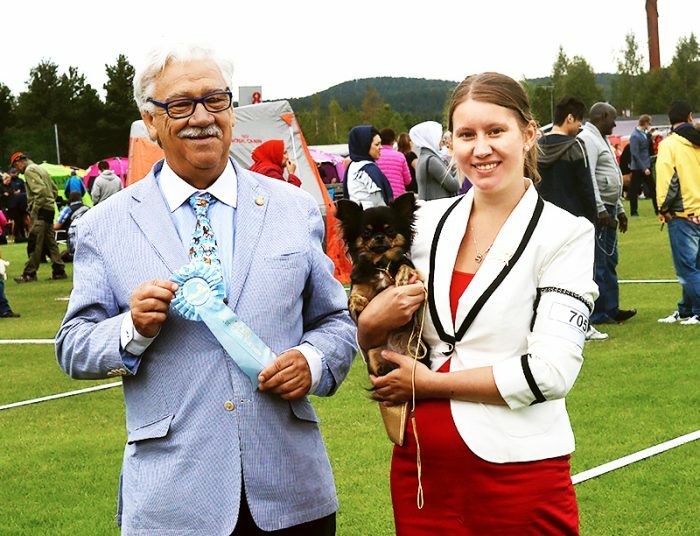 BOS with CAC at the National Dogshow in Nordkjosbotn, Norway 2016. Thanks to judge Arne Foss, Norway. 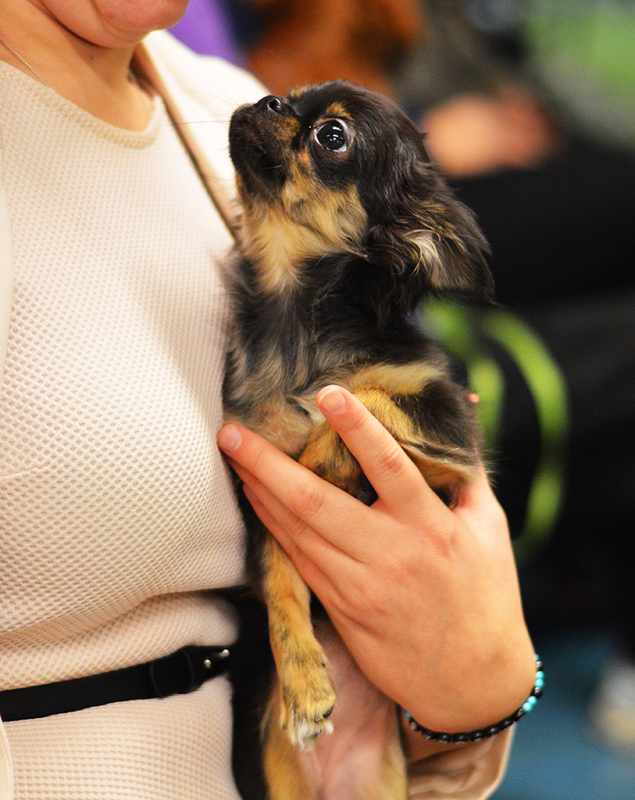 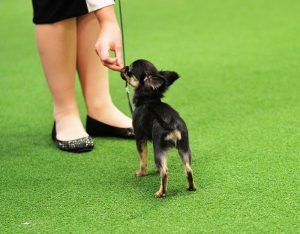 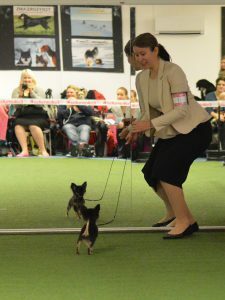 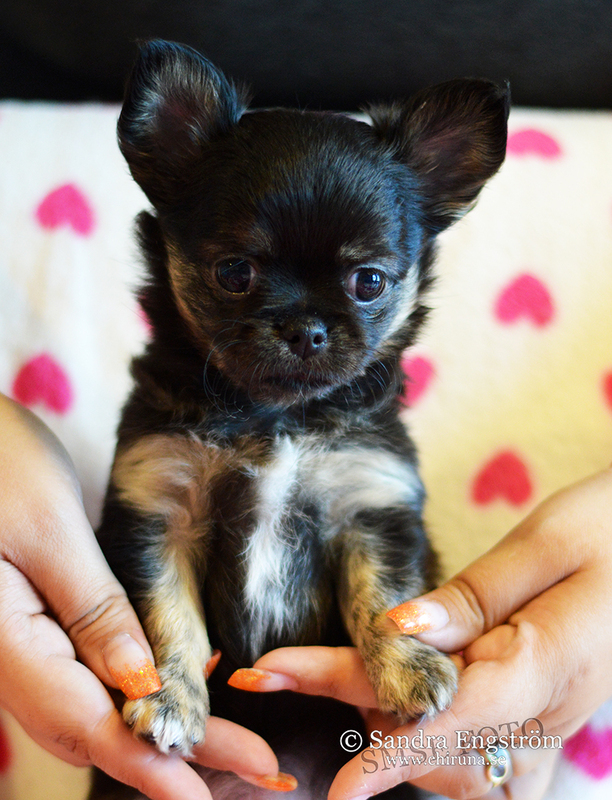 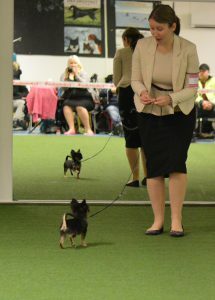 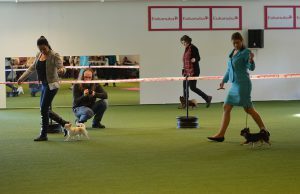 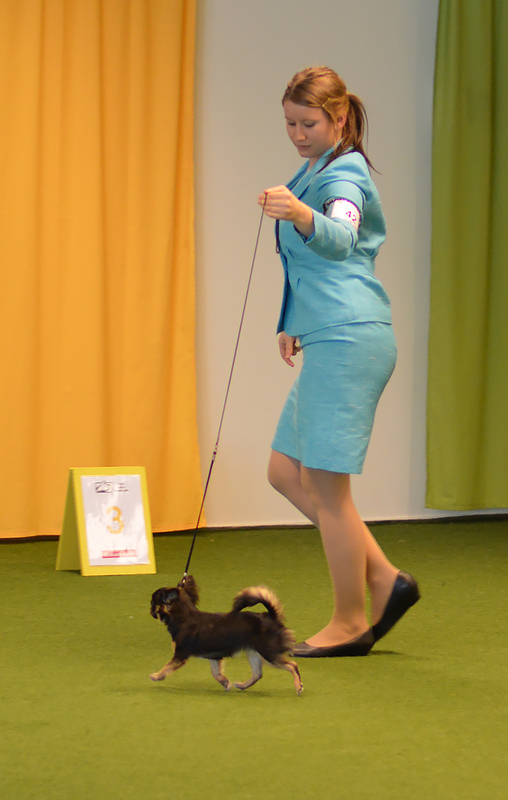 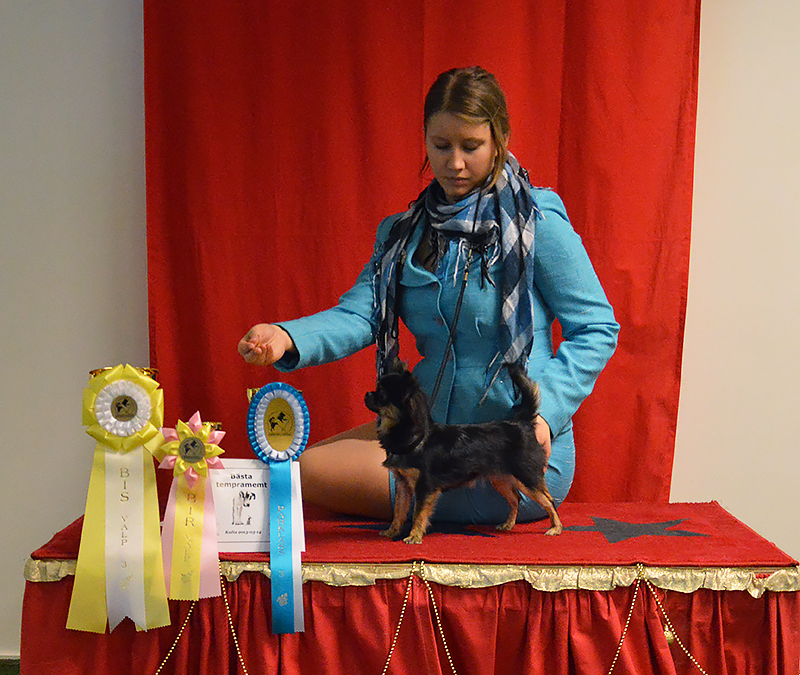 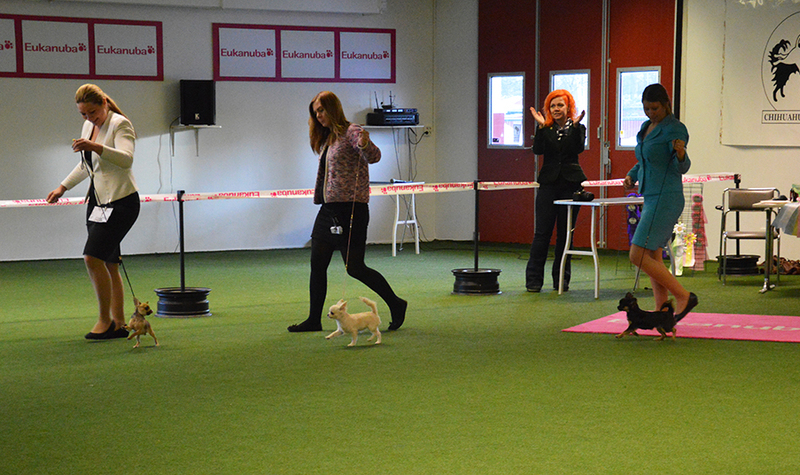 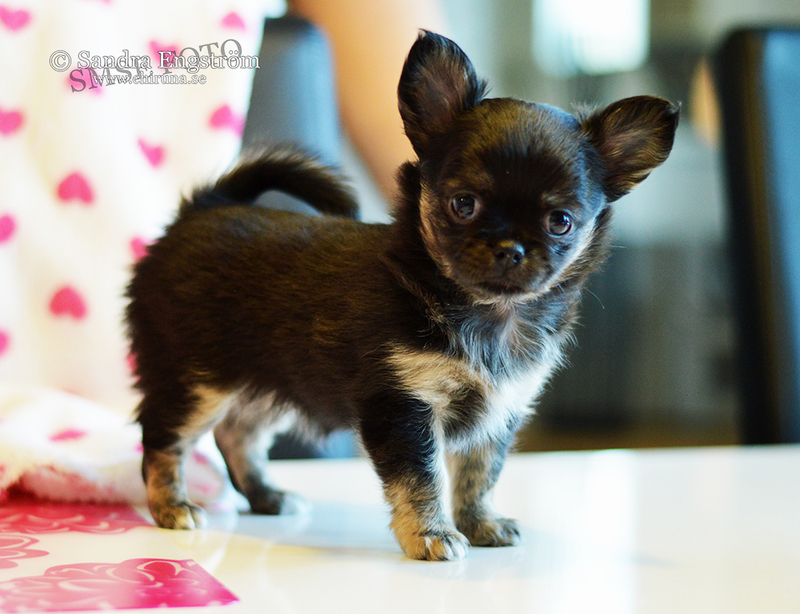 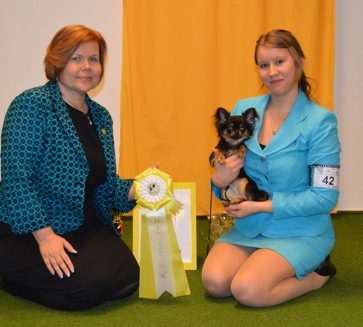 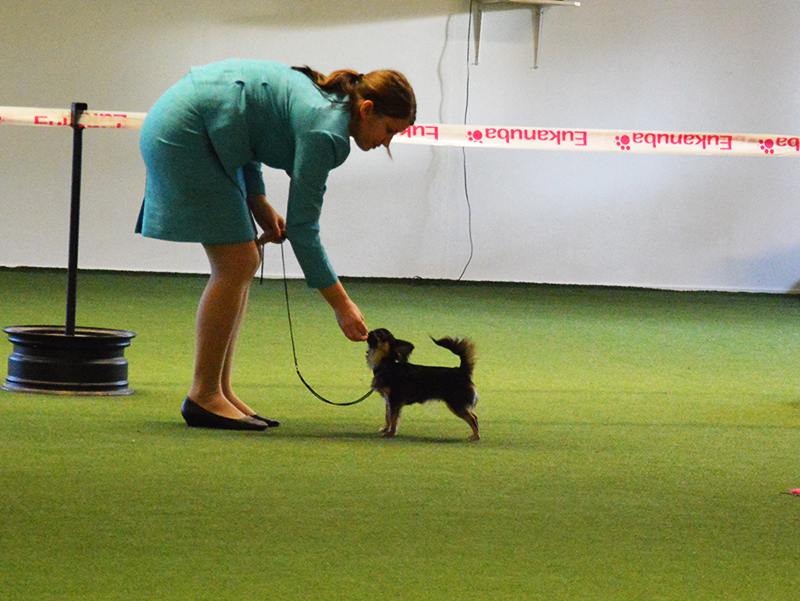 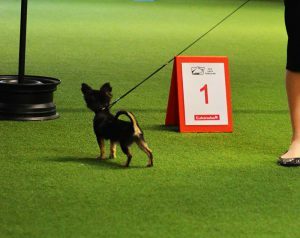 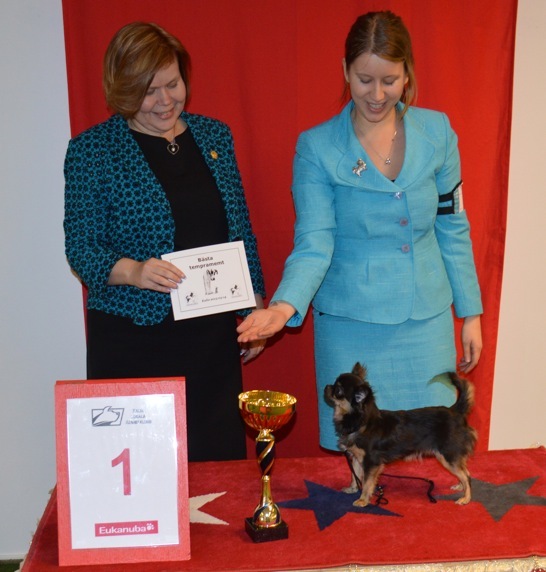 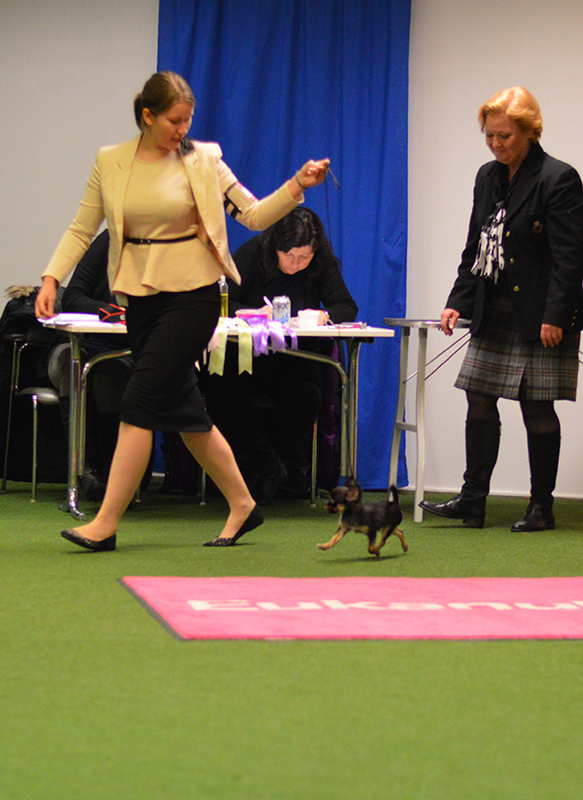 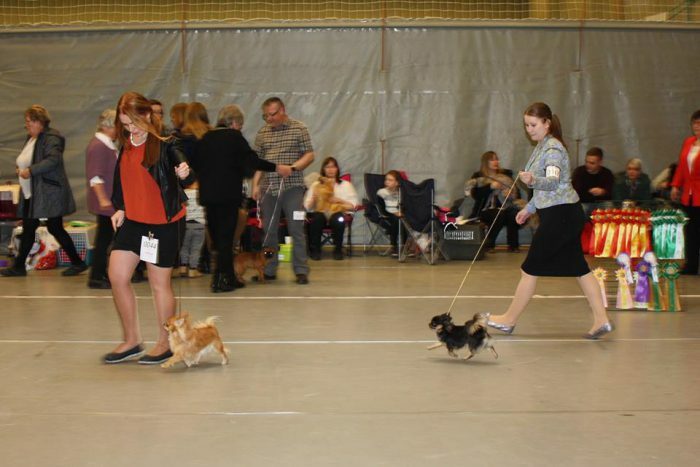 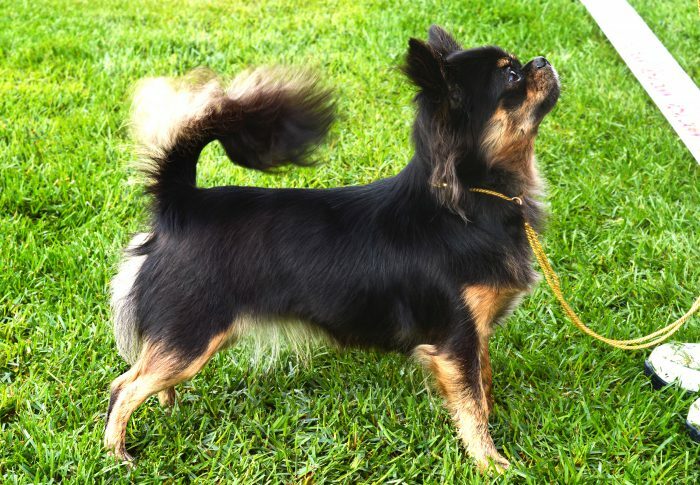 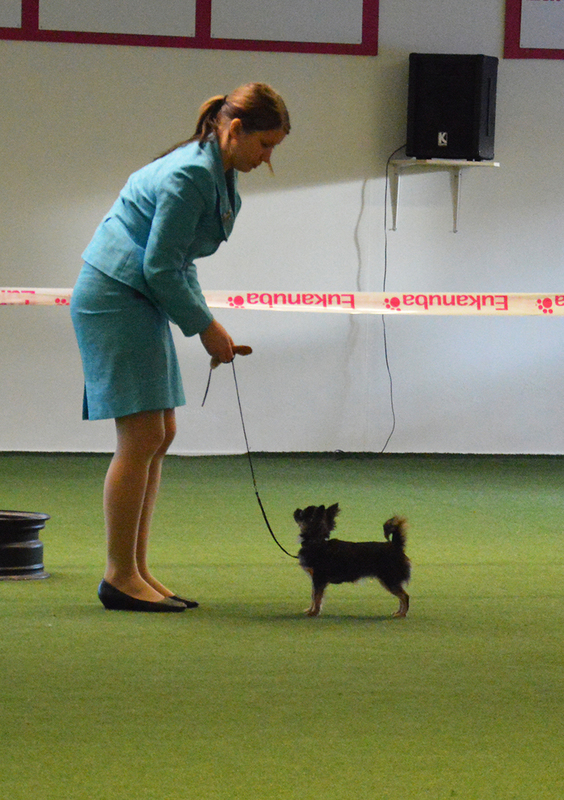 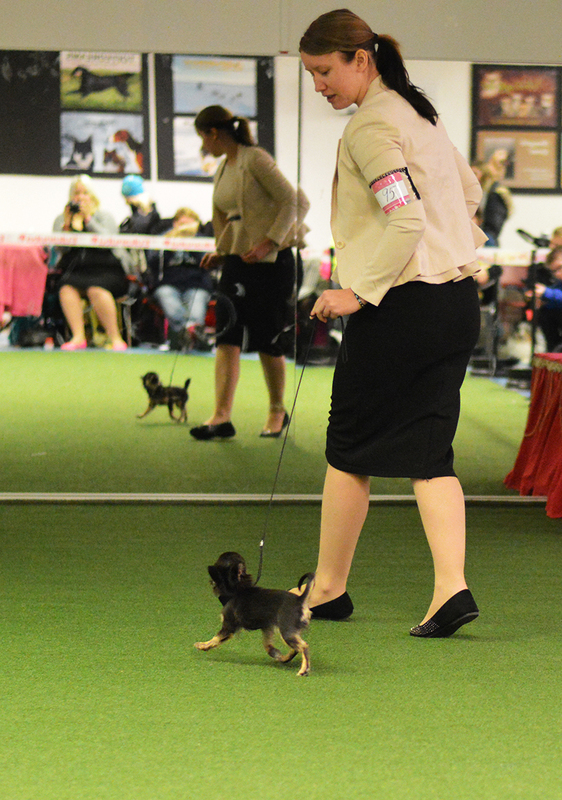 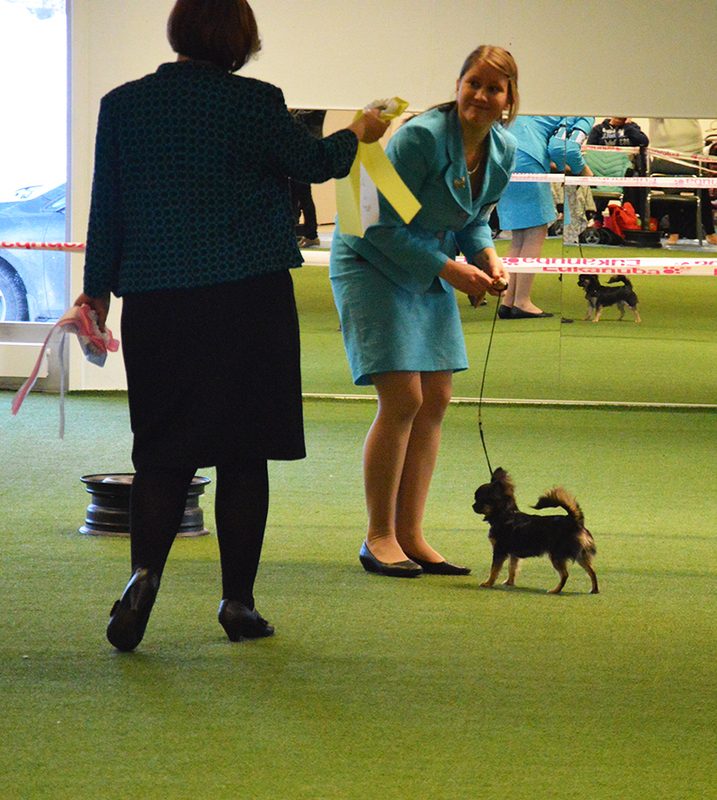 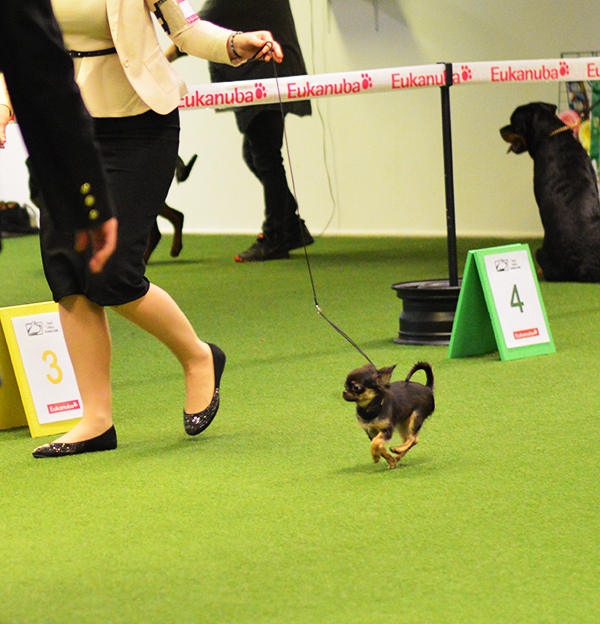 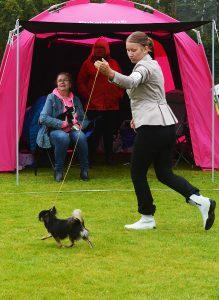 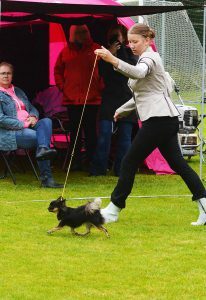 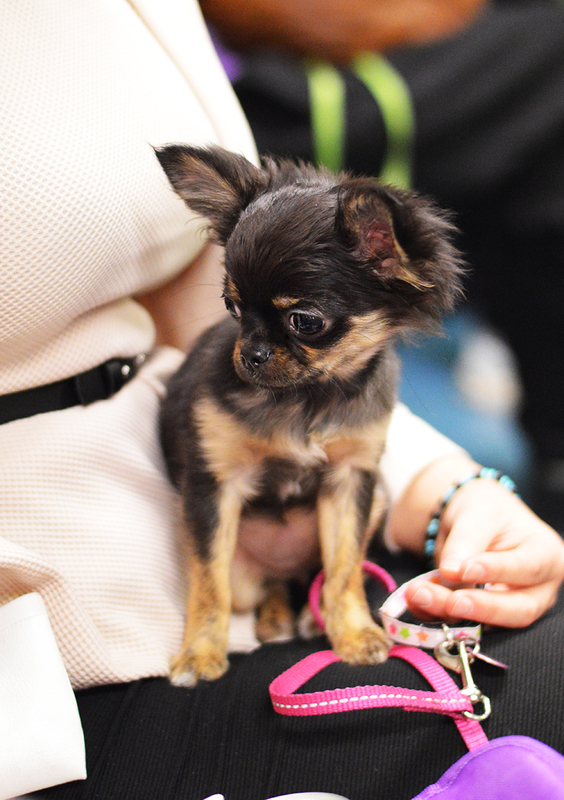 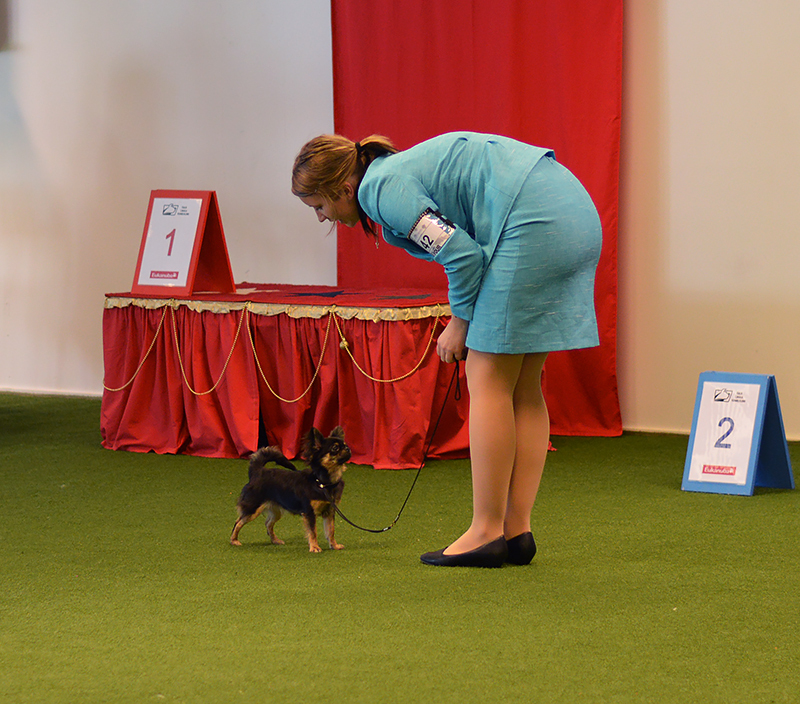 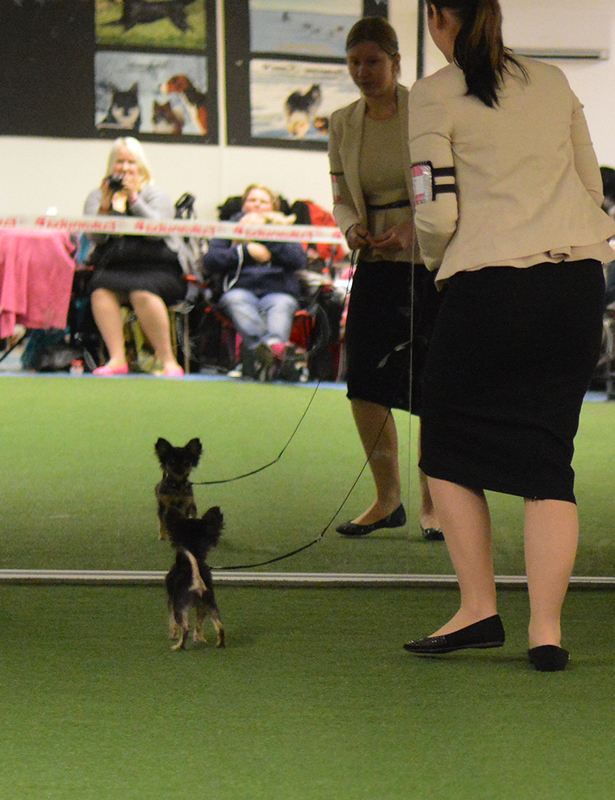 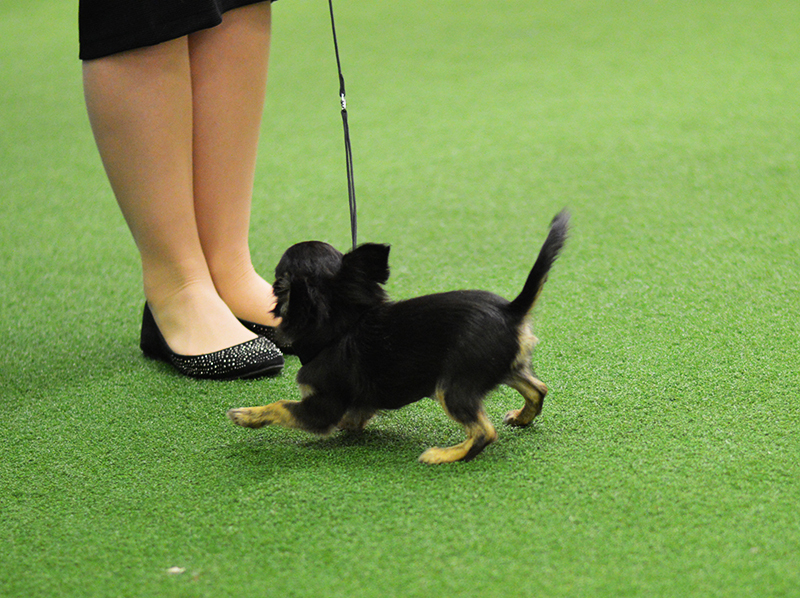 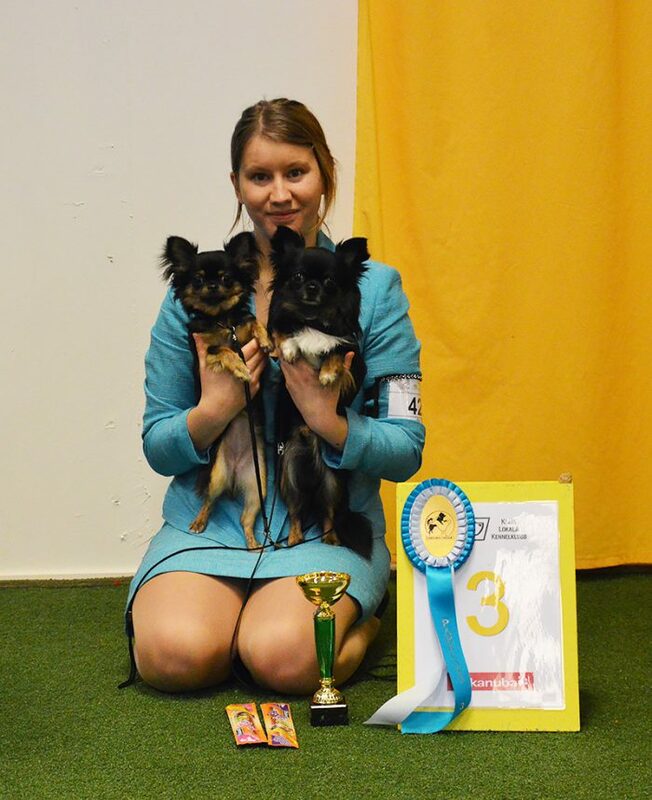 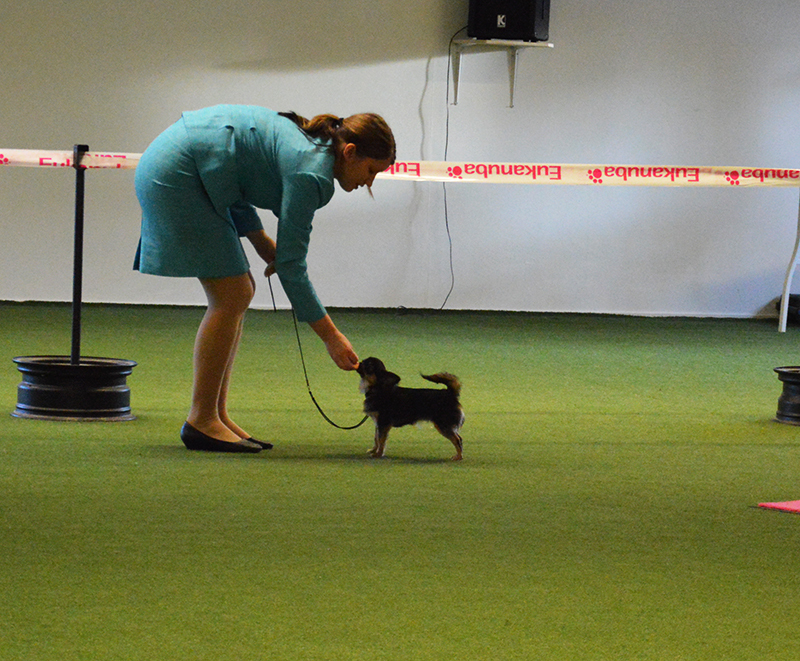 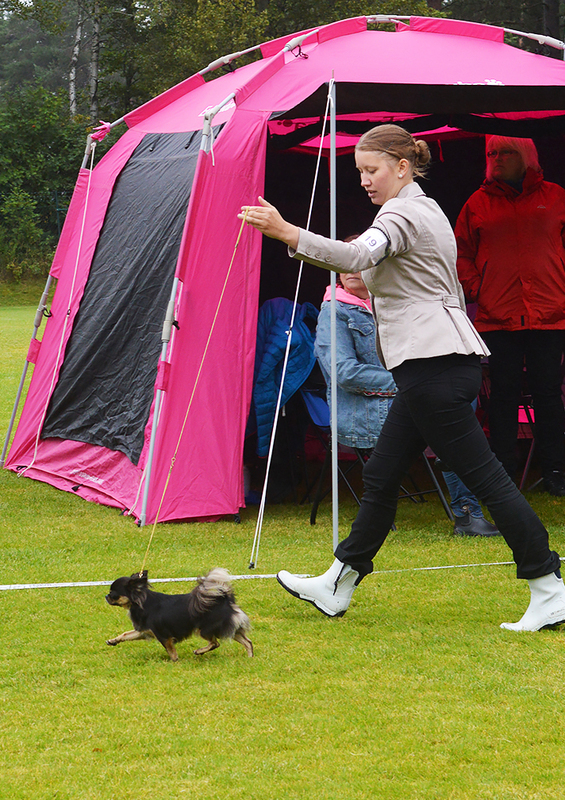 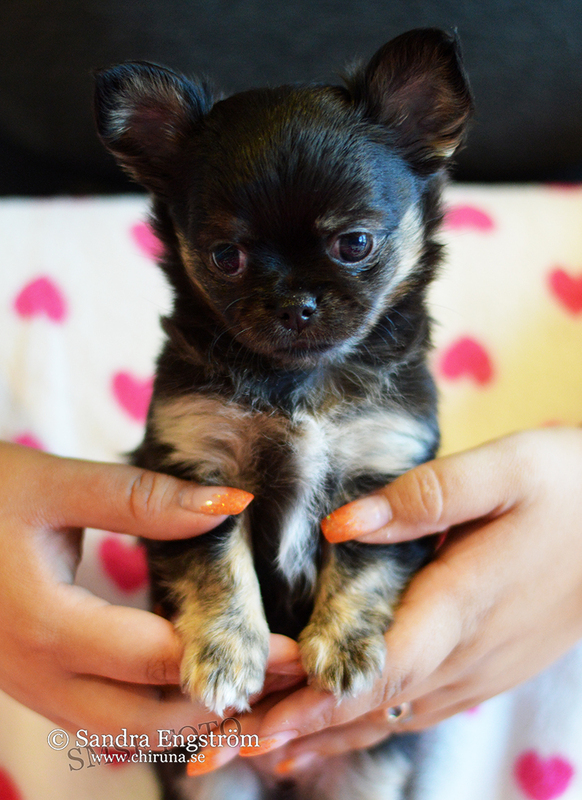 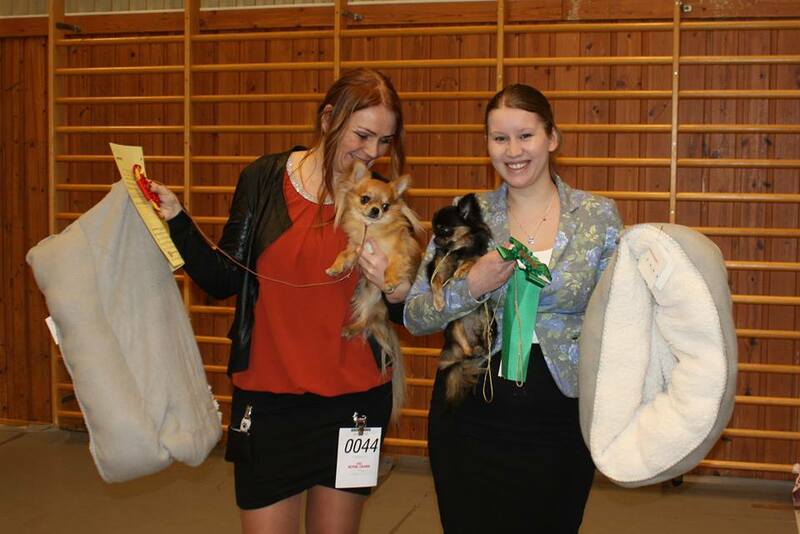 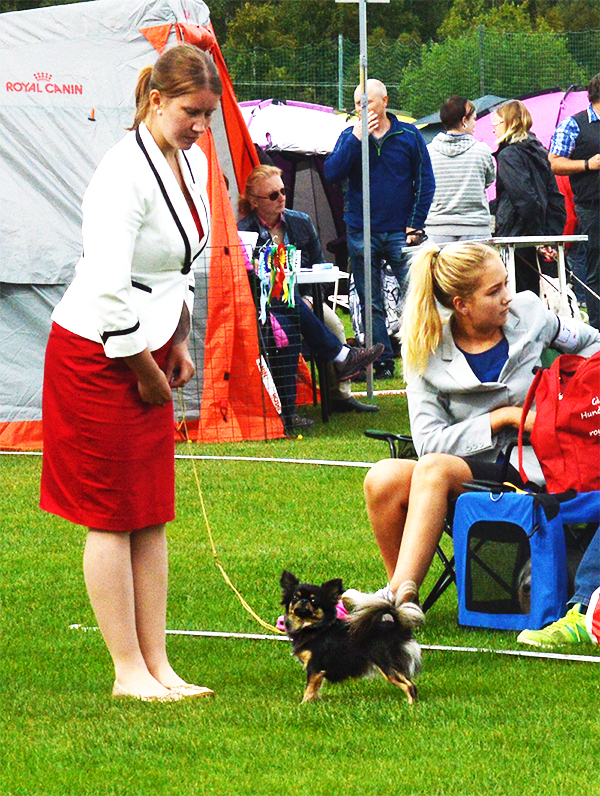 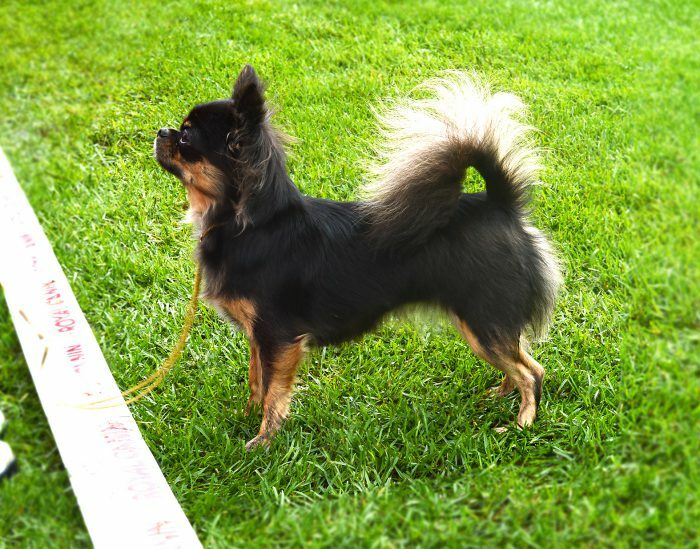 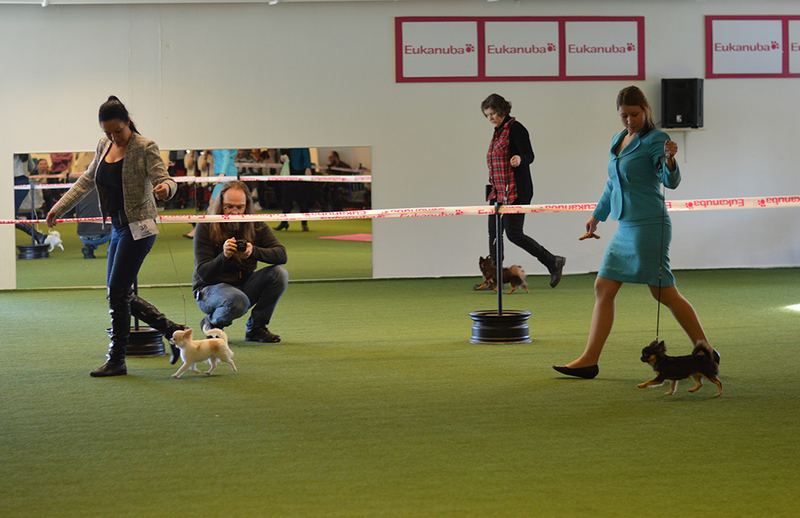 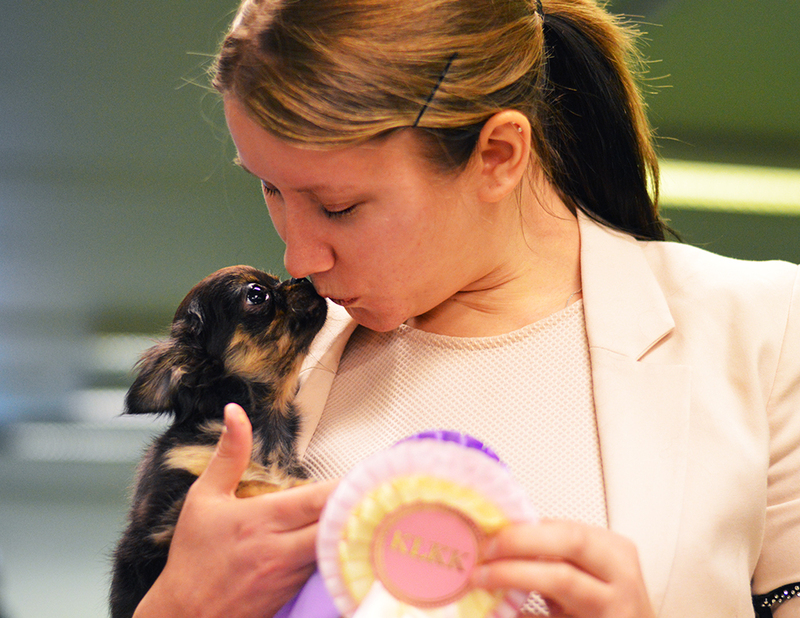 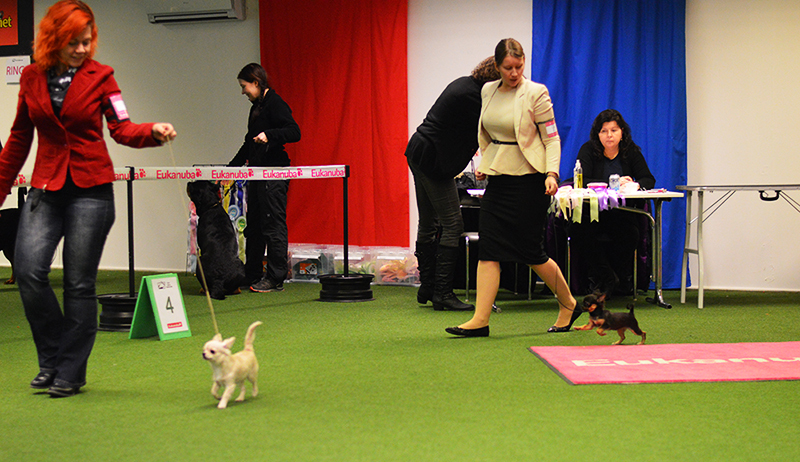 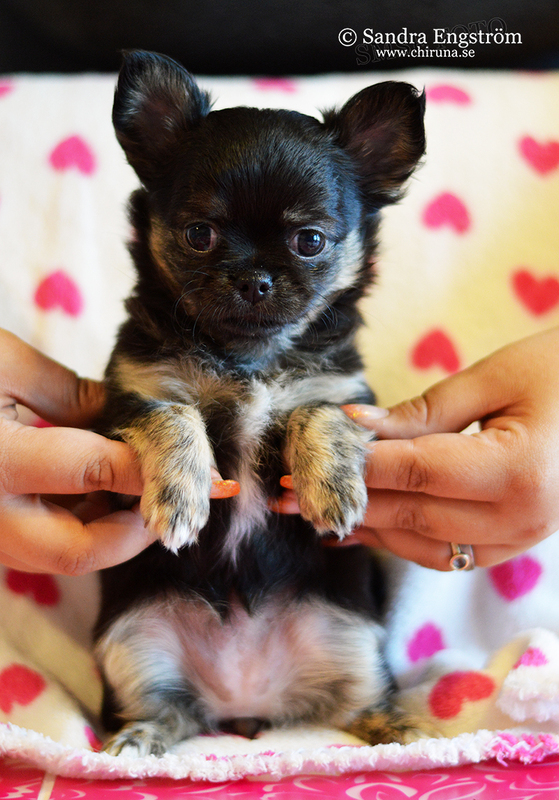 BEST TEMPERAMENT in Show at the Northern Swedish Chihuahua Speciality, Kalix 2015. 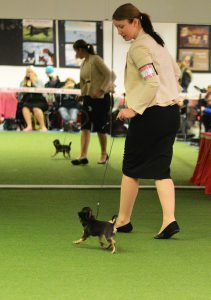 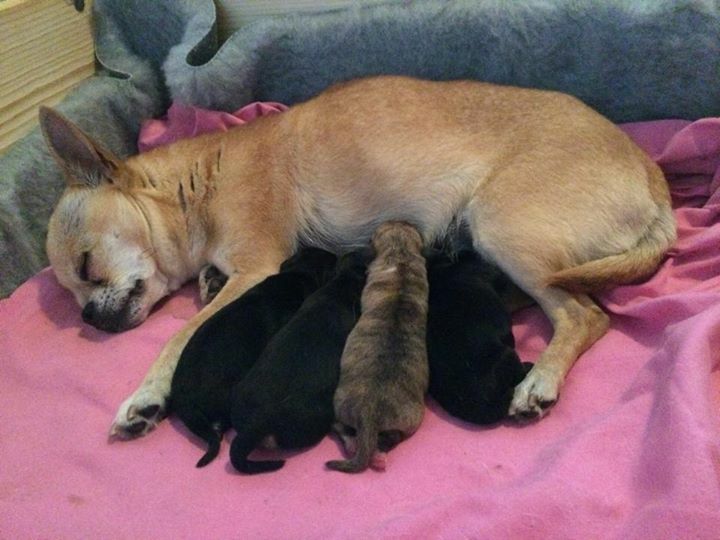 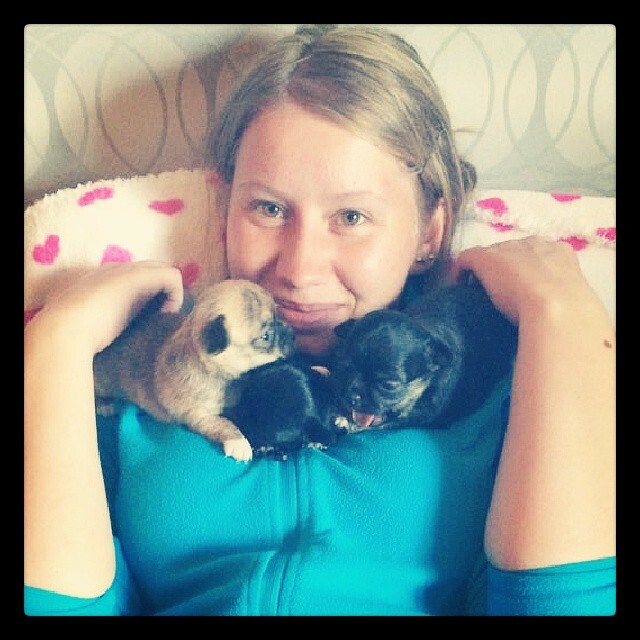 Leona was also BOB & BISS-3 Puppy & BISS-3 Brace with daddy Elton! 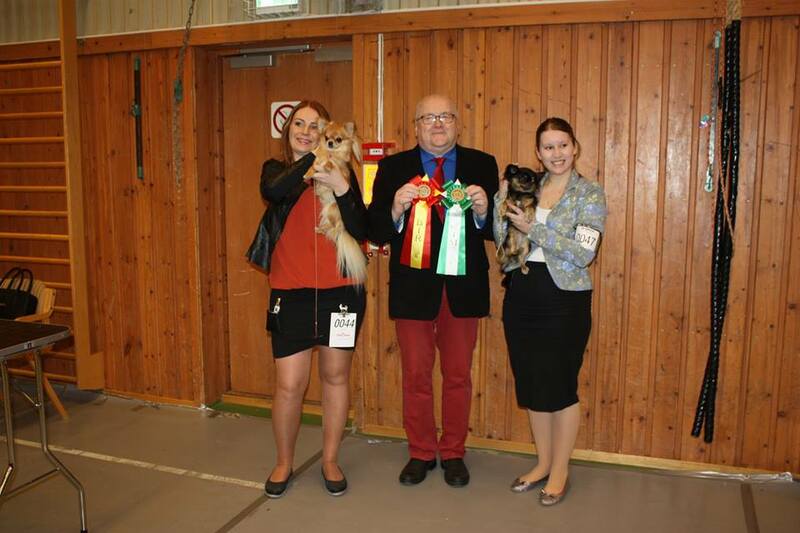 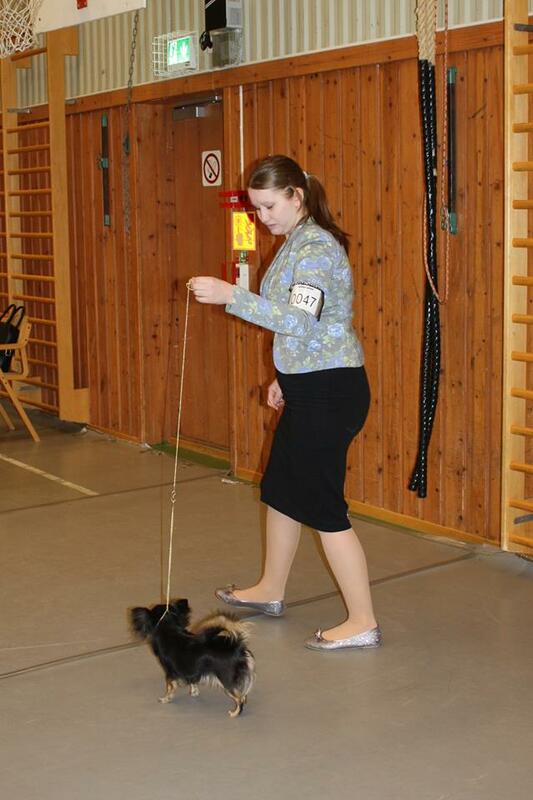 Thanks to judge & breed specialist Maarit Hassinen, Finland. 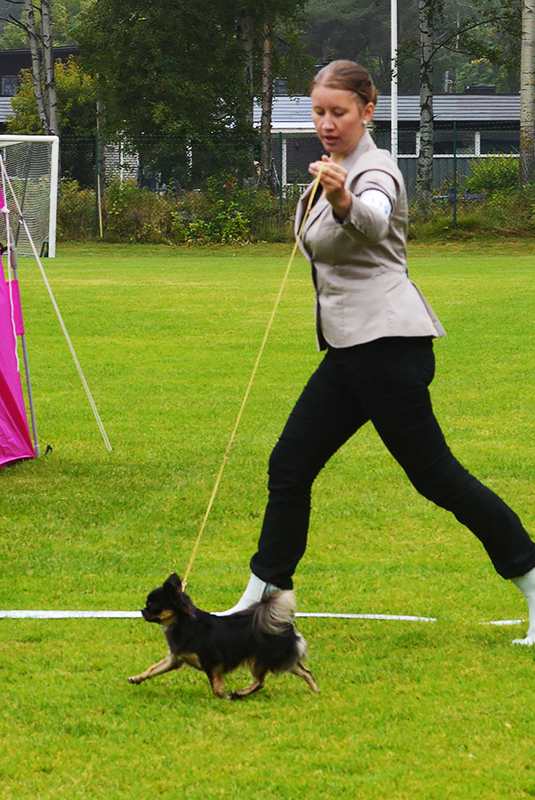 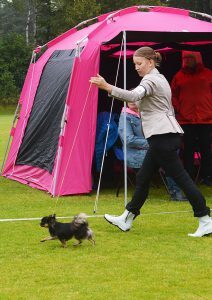 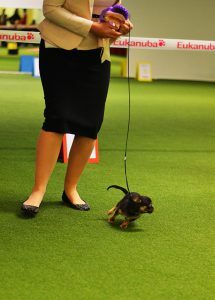 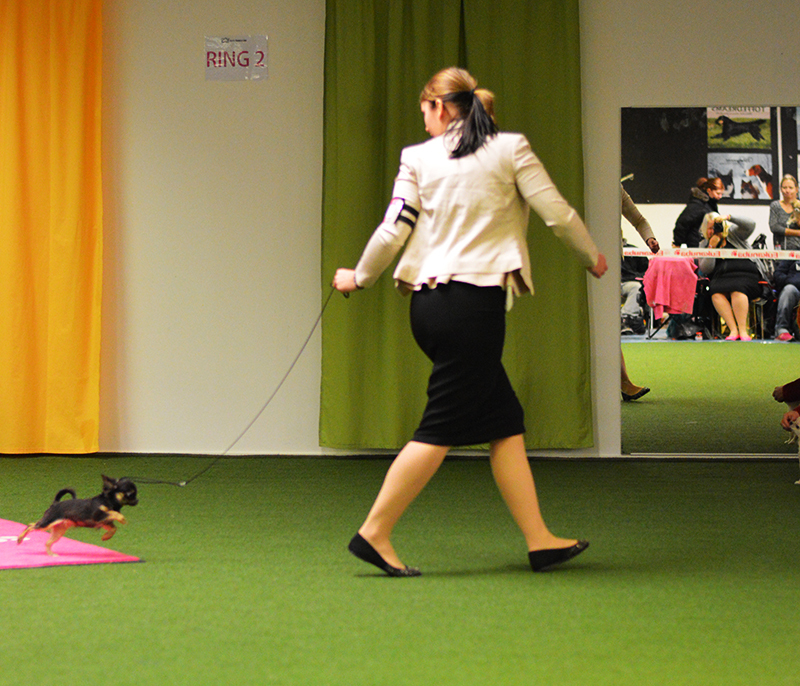 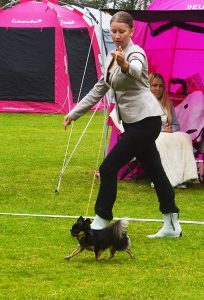 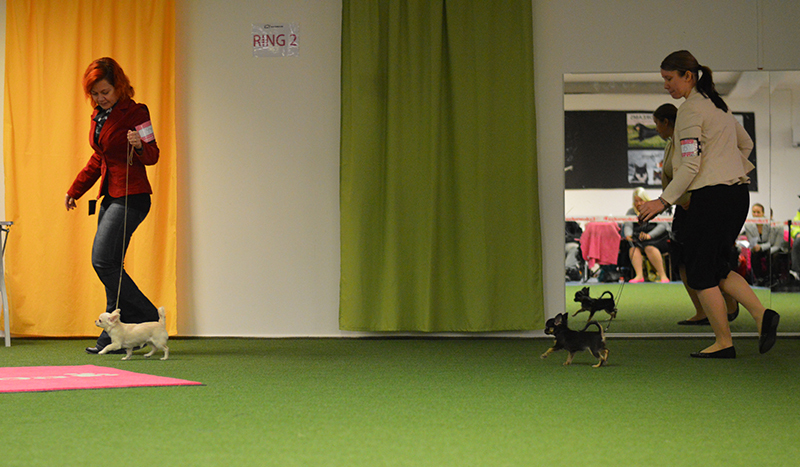 Photos from her FIRST puppyshow. She was BOB Puppy and just owned the ring with her crazy happy temperament. Only 4,5 months old. 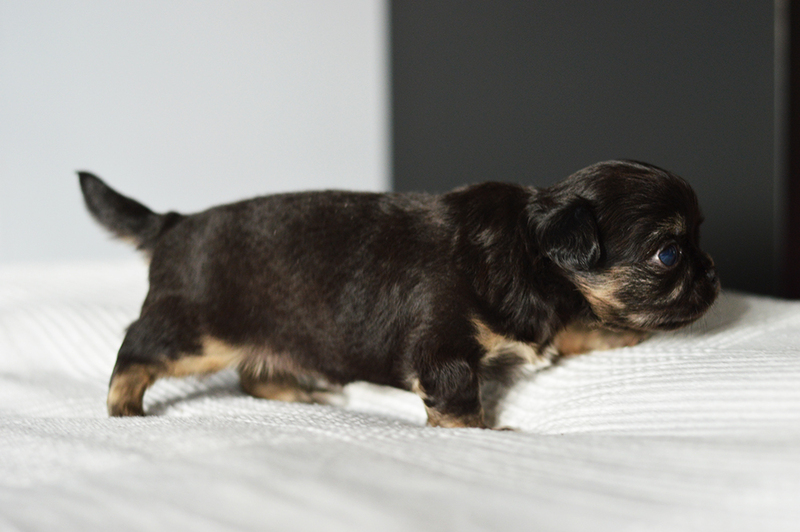 5 weeks & 5 days..
3 weeks & 4 days..
Me & Leonas breeder Jenny started to call her “grädden” (creamy) because she was the biggest, fattest and the most furred of the siblings. 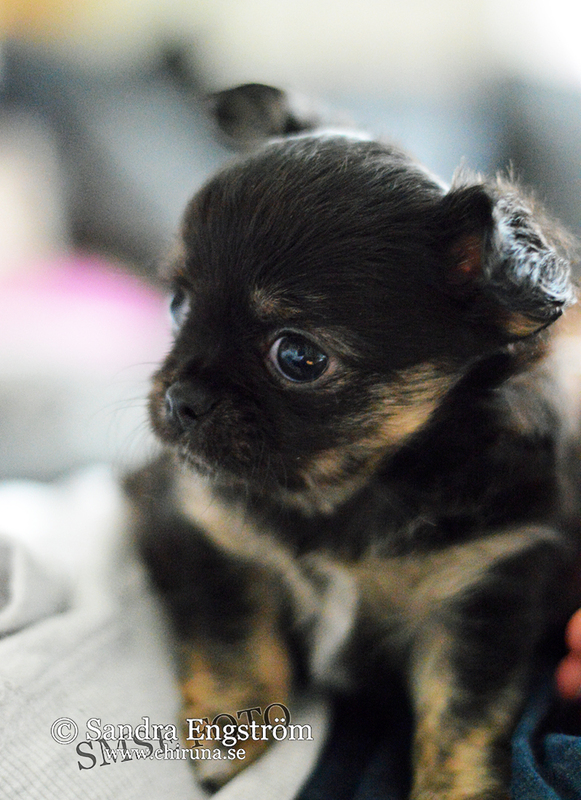 Such a sweet furry little ball. 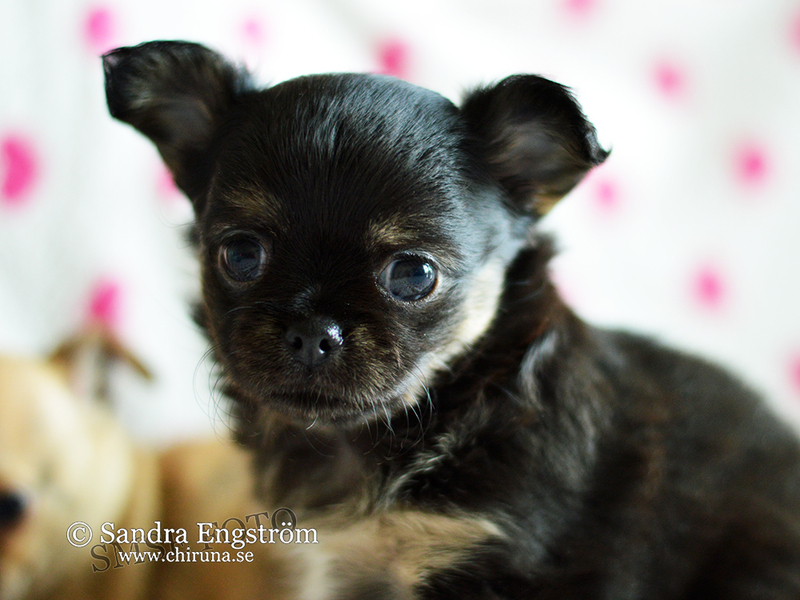 By the nick-name “grädden” we also decided her pedigree-name “Crème the la Crème”. Witch is basicly means “the best of the best”. 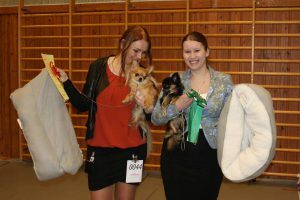 In Swedish “Grädden på moset/det där lilla extra”. 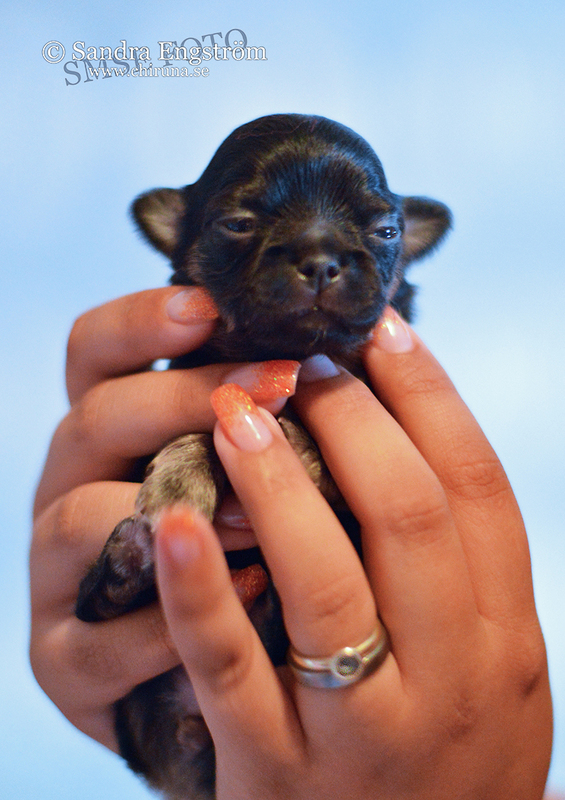 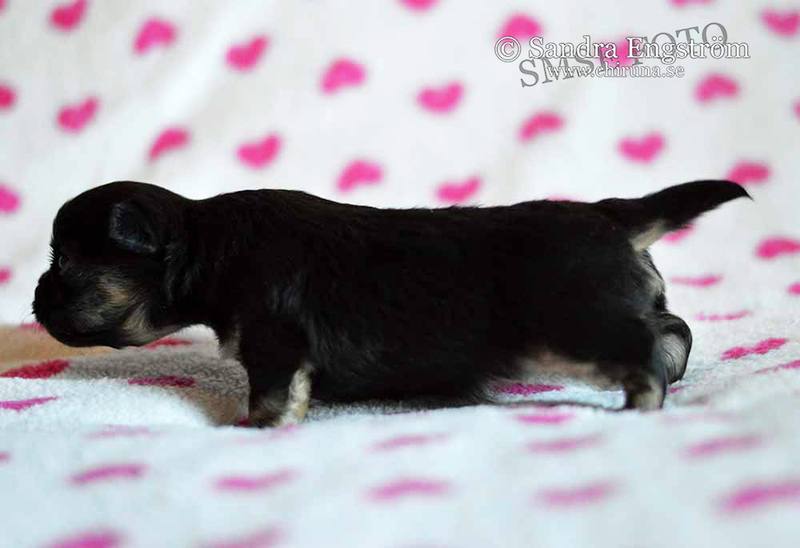 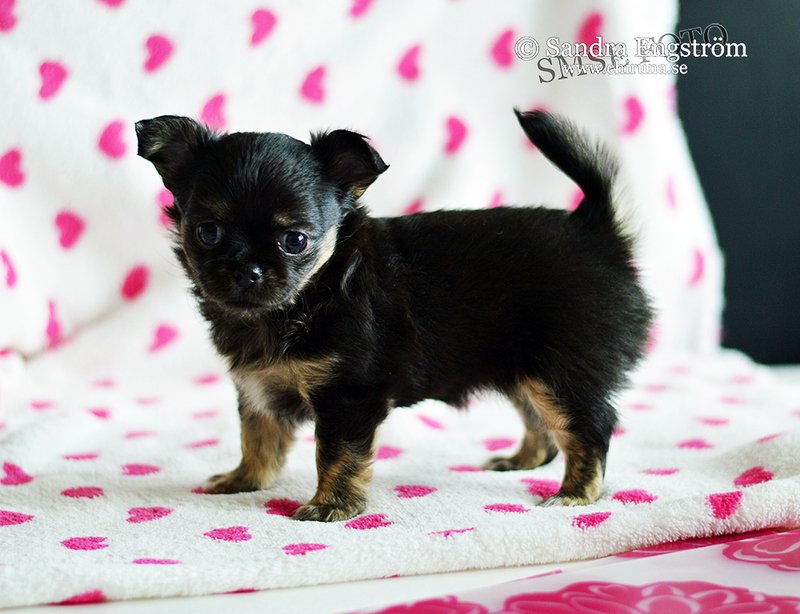 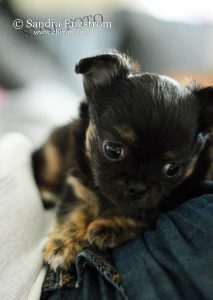 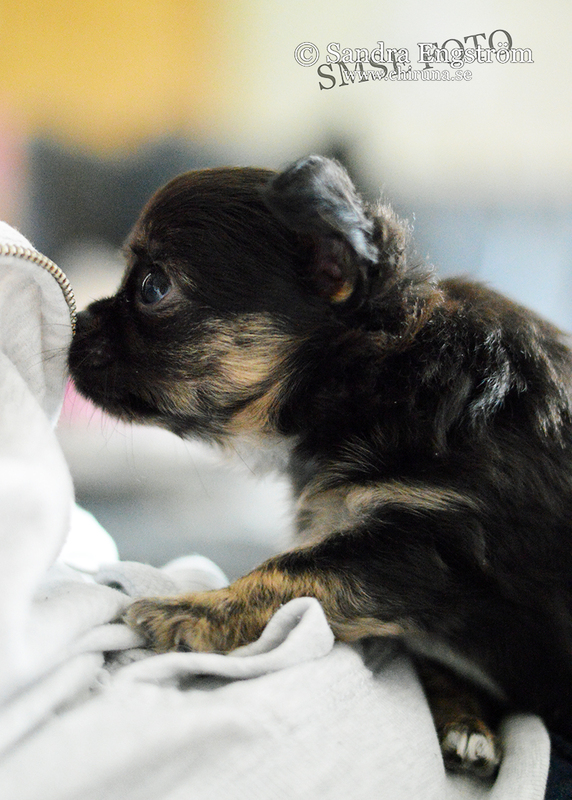 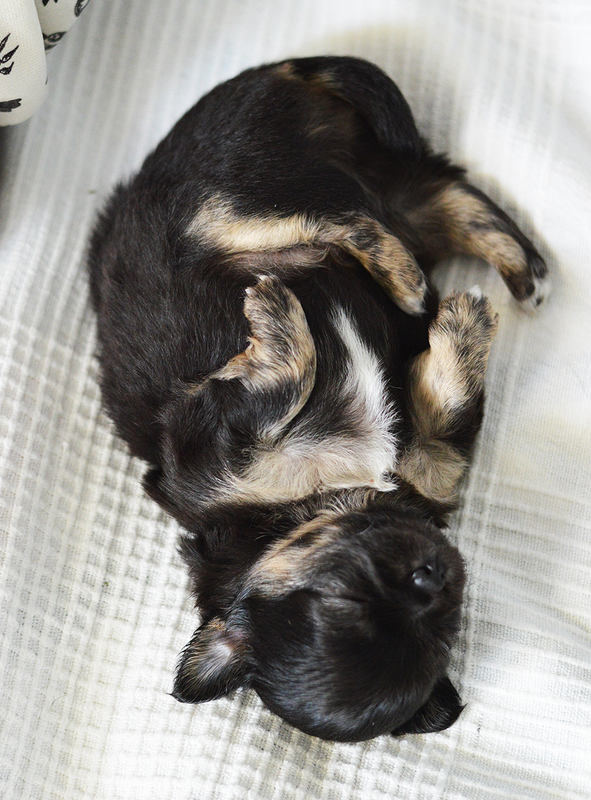 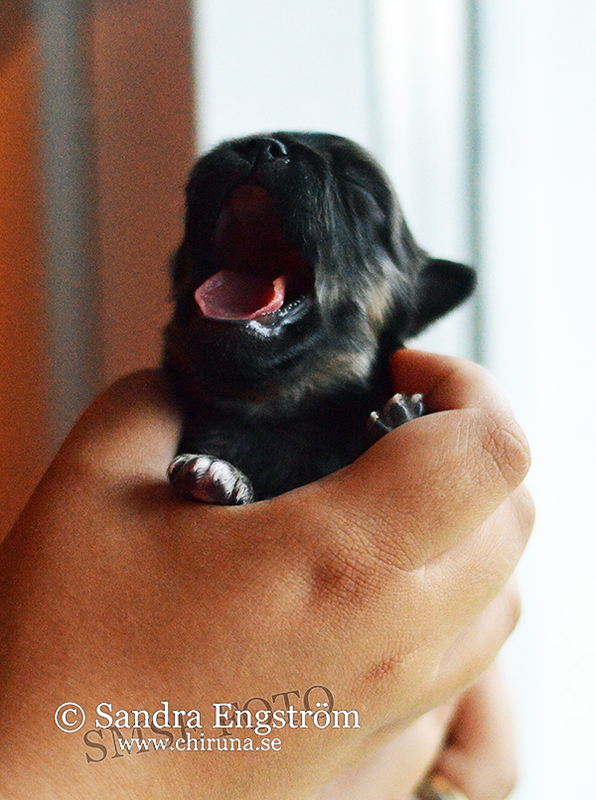 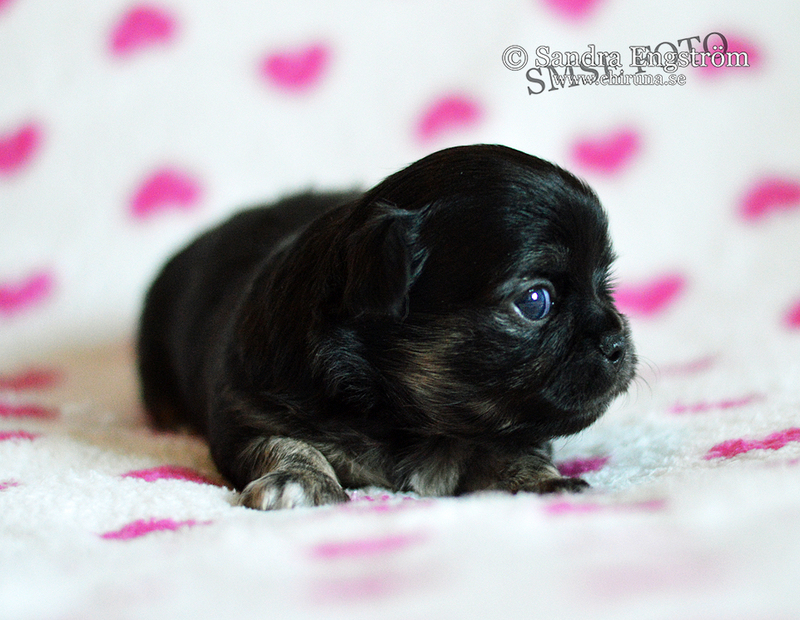 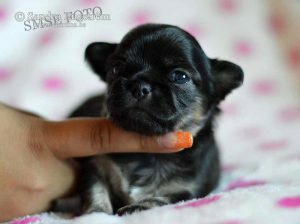 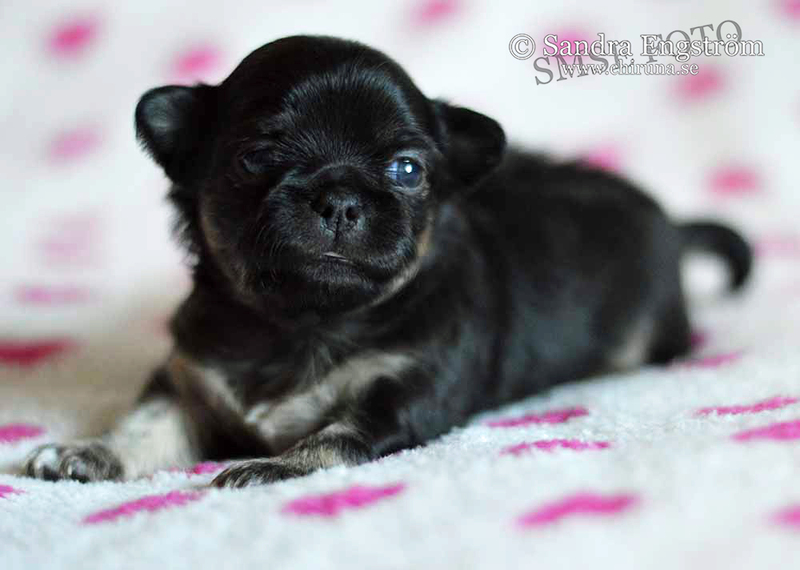 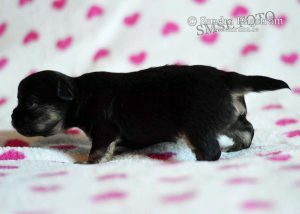 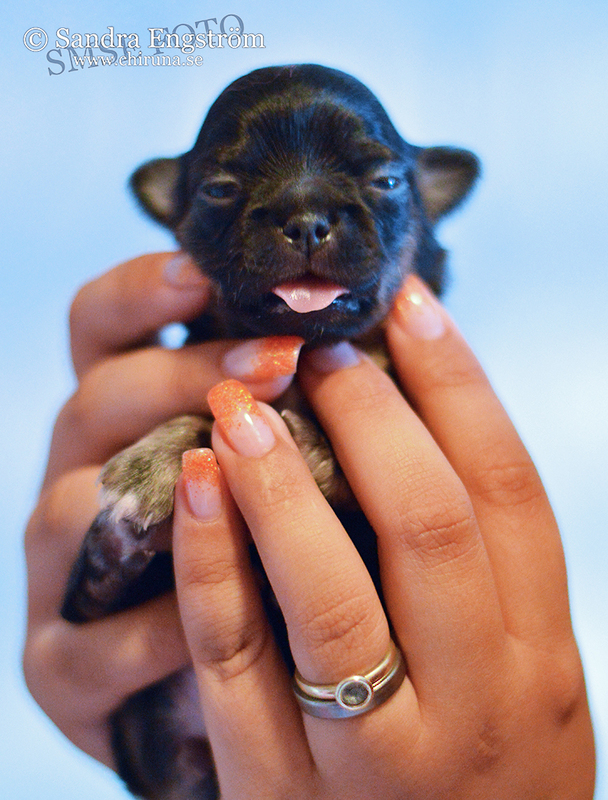 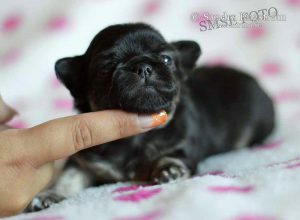 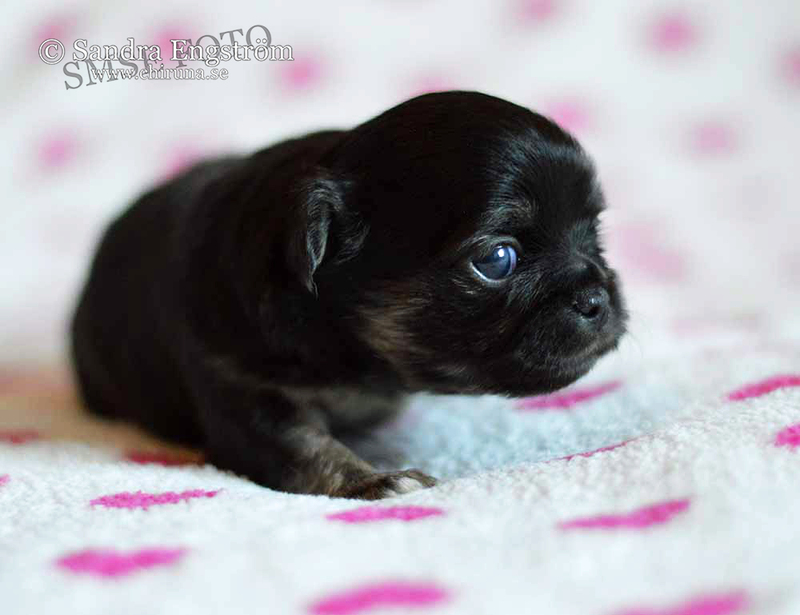 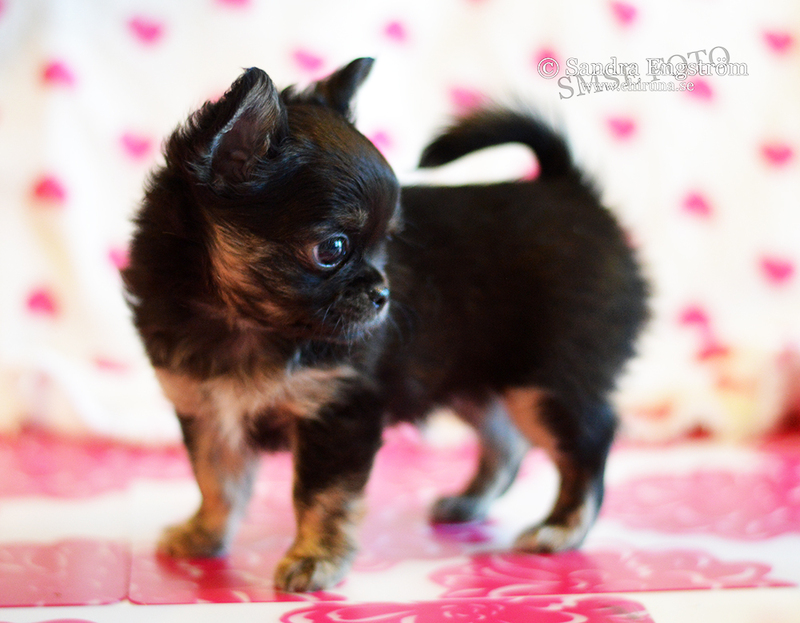 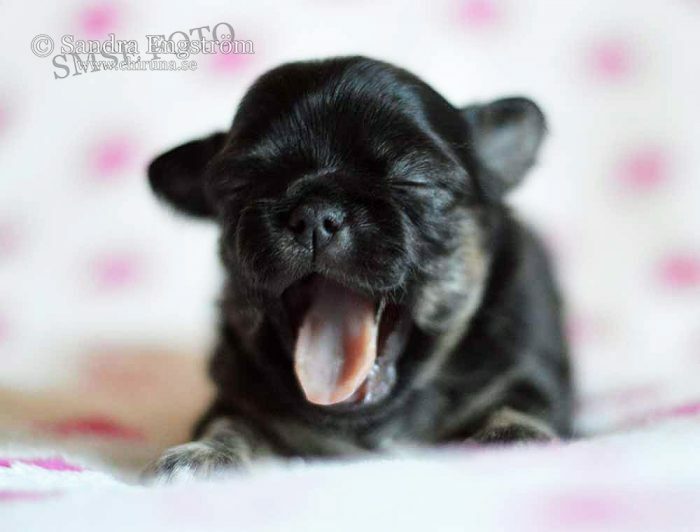 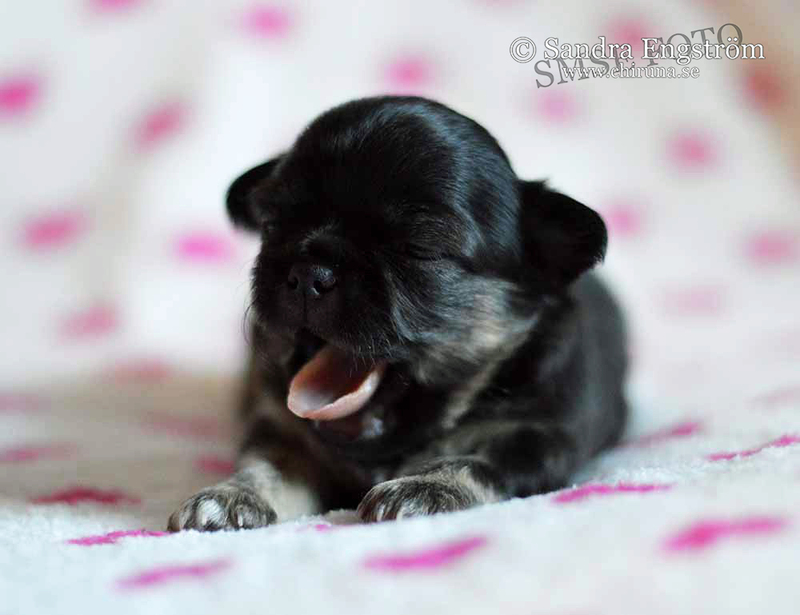 The one that has that little extra to bring..
2 weeks & 5 days..
1 week & 4 days old..